Two BWX Technologies (NYSE: BWXT) subsidiaries have reached new agreements worth $2.1B combined to manufacture nuclear reactor components and fuel products for the U.S. Navy. 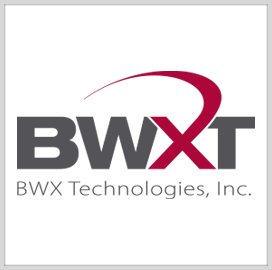 BWXT Nuclear Operations Group and Nuclear Fuel Services will also provide support services to the U.S. Naval Nuclear Propulsion program, the company said Monday. Efforts under the contracts are intended to support construction of the Navy’s Columbia- and Virginia-class submarines at various facilities in Virginia, Ohio and Indiana. The company expects the military service to award the initial contracts in the first quarter of this year and exercise options next year. Both parties also began negotiations on a separate pricing agreement for the supply of Ford-class aircraft carrier components.